In this interview Emma & Davyd Farrell, co-founders of Plant Consciousness and WisdomHub.tv, discuss effective ways to keep your energetic system clean. In today's increasingly toxic environment it is essential that we understand how energies work, how they move, how they integrate with our own energies and how we are susceptible to toxicity unless we can differentiate between what is us and what is not us! The mind is influenced by the quality of energy in our energy field, so if we have unhelpful attachments in our field we will have toxic thoughts and erratic emotions. We are also less able to heal our physical bodies with less supply of positive and light-filled energy around us. Emma & Davyd offer various ways of working with plants to clear the psychic and toxic debris from the energy field to clear your mind, bring emotional balance and to help you with your spiritual development. 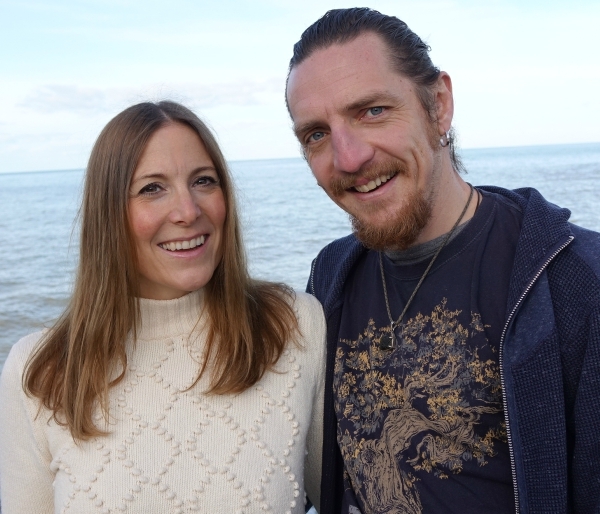 Emma & Davyd are the co-founders of the ground-breaking London event, Plant Consciousness and the online Wisdomhub.tv. They also produced the London event, Gateways of the Mind, a 2 day conference dedicated to lucid dreaming, out of body experiences and consciousness exploration. They have been working with the conscious intelligence of plants and trees for 6 years and have trained under Plant Spirit Healer, Pam Montgomery, Medical Herbalist and Plant Diet Initiator, Carole Guyett and Ecuadorian Shaman & Kichwa Elder, Kurikindi. Emma holds a Master's degree in The Preservation Of Wisdom Culture & The Art Of Liberation in the Buddhist Mahayana tradition, focusing on the transformation of the mind for self-liberation. She wrote her thesis on 'Understanding The Nature Of The Self Through Lucid Dreaming'. Their retreats take attendees deep into the inner realms of nature for healing, awakening , embodiment and consciousness expansion.